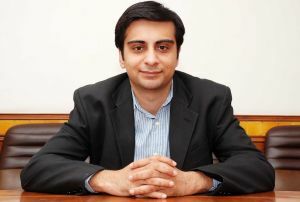 He established and sold a social networking site DesiMartini.com to HT Media in 2007. In February 2011, he sold a majority stake in auto classifieds site Gaadi.com to MIH Group, a subsidiary of the South African media group Naspers. Vivek Pahwa is a digital entrepreneur and CEO of Gurgaon-based Accentium. Accentium has constantly churned out websites over the years such as Taaza.com, SecondShaadi.com and StudyNation.com under his leadership. Techcircle.in connected with the serial entrepreneur to learn about the deals, how his array of online properties are faring and his future plans. How did the Gaadi.com deal happen? We were approached by MIH as they are interested in online classifieds space in India. They looked at other auto classified companies as well, but were convinced about our business model. What was the price you got for the Gaadi.com deal? Did it meet expectations? I cannot discuss the valuations on the deal, but yes it definitely met the expectations, otherwise I would not have done the deal. Can you share any details about your previous exit with Desimartini? Sorry, cannot discuss the details of the DesiMartini deal. If we take these 2 deals as indications of your strategy as an entrepreneur, are you building businesses to quickly sell them? I don't think it's that simple. I try to build every business as a long term sustainable and profitable business. The same was the strategy with Gaadi.com - It is profitable and has a scalable and sustainable business model. The transaction with MIH was based on various factors, the synergies in this case were very strong; with the knowledge, resources and the network of MIH, the business can go to the next level. How are the sites valued before being sold - is it based on a revenue multiple or more on the domain, traffic etc? For Gaadi.com, it was based on the team, the current revenue and profitability and also the projected numbers for the future. I don't think anyone ascribes much value to domain names, but of course traffic is definitely (indirectly) built into valuations. But with traffic, one should separate acquired and organic traffic, the real value lies in the sustainable organic traffic. It is doing quite well in its niche. It is not a big business, but it is profitable. And how is StudyNation.com poised currently? According to ComScore, StudyNation.com is the largest education site in the country compared to its peers. The education classifieds/branding solutions market is definitely growing well, and we are focussed on growing that business. What are your plans for the Taaza.com property? Taaza.com is being positioned as a specialized job search engine, we have plans to expand this beyond India into many countries globally, and that would be the strategy to grow that business. I am quite excited about the global model for Taaza. How is your digital marketing company AdLift faring? AdLift is doing very well, and is growing rapidly. We are already working with some of the top digital agencies in India and the US, and we are working on a number of big name clients. We are hiring aggressively for this business, and are likely to grow revenues by about 4 times this year. Are there any new projects on the horizon? As far as new projects go, the criteria is that it should be very scalable and sustainable with high margins, it could be focused on India or the global market. Would definitely be interested in looking at such businesses.